There are lots of RSS apps available in the App Store for both iPhone and iPad. 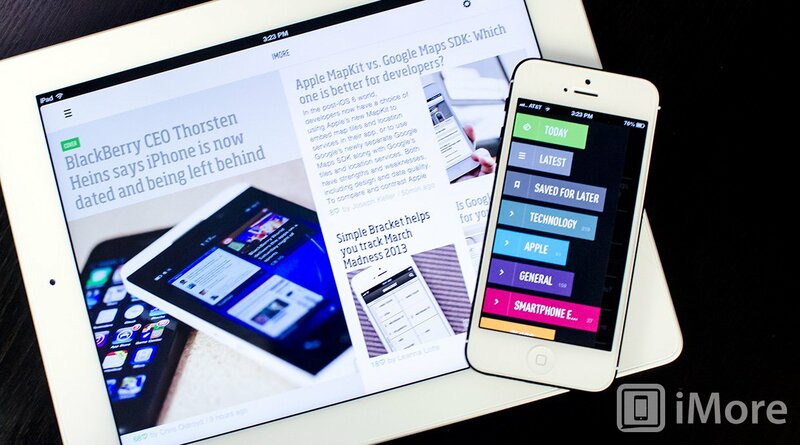 Feedly may be one of many, but it's one of the most popular for a reason. Everything from how you maneuver through feeds to it's bright and bold interface is done extremely well. Swiping actions and being able to quickly mark things as read are added bonuses. Then again, looks aren't always everything. Upon taking a closer look, looks aren't the only thing Feedly has going for it. When you first launch Feedly, you can start adding feeds manually or you can sign into your existing Google Reader account. Before you get too concerned, Feedly will switch over to their own Normany service when Google Reader is discontinued. You'll just need to make sure you import your feeds to Feedly or some other client before that happens. If you've already got your stuff on Feedly, it'll be a seamless transition that you won't even notice. 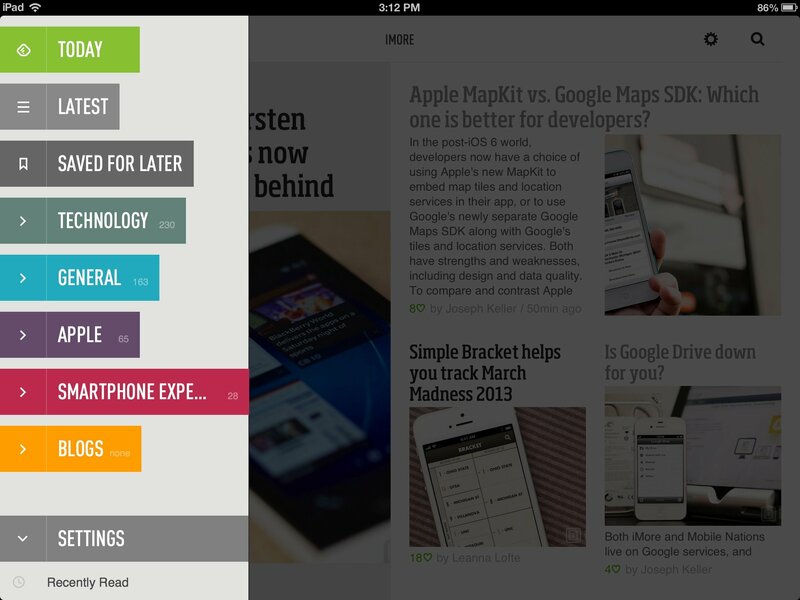 Feedly ties in with many services including Pocket, Instapaper, and bit.ly. You can pop into settings once and enter your info and Feedly will remember it for future use. You can also save items to read later within app too so if you're just skimming articles and want to remember to read something later, tapping the bookmark icon will save it in the read later section of the navigation menu. As far as marking articles as read, you can do this by using swipe gestures. A long swipe will mark everything on that page as read while a short swipe will mark just that one article as read. If you accidentally mark something a swipe in the opposite direction will mark the article or whole page as unread again. Feedly uses a feature called stacks which allows you to quick swipe through pages but if you prefer scrolling through lists of articles better, you can switch it in the settings menu. 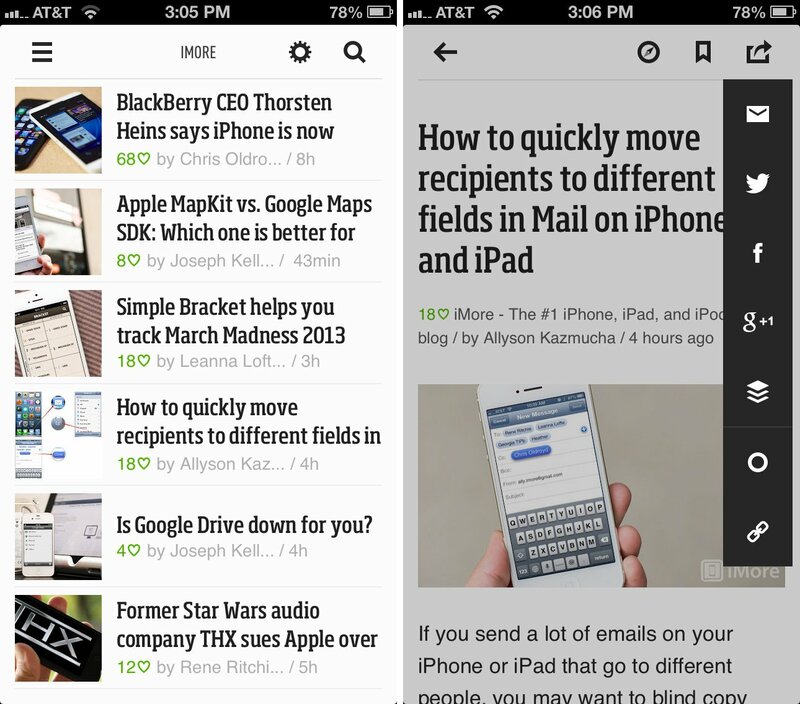 There are several view options in Feedly including tile view, list view, and more. You can toggle and personalize them inside each feed as you see fit. The only thing I'd really like to see is an app wide setting to change the view. If it's there, I missed it and I looked quite hard. The good thing is at least Feedly remembers the views you set so it stays that way. So if you like list view, you'll only need to tell each feed to display that way one time. As far as searching for feeds and finding new content, the search bar stays static in the upper right hand corner through pretty much every screen. From here you can pull in tons of topics and read feeds inside those topics. One of the neatest features about Feedly is the today and latest sections. If you don't feel like drilling down into specific feeds or categories, these sections allow you to browse quickly so you keep up with news that's recent and popular. You'll notice a Feedly rating symbolized by a heart next to articles in your feed. This number is aggregating the amount of Facebook likes or shares and Google +1's that story is getting. Feedly says their own special formula is added in as well. The higher the rating, the more popular the story is across the web. The most important part of a great RSS app is the ability to read things easily and Feedly definitely provides that. The interface isn't boring but it isn't too busy either. The different view options cater to almost any audience and how they prefer to read. The ability to change themes and fonts is also a great feature of a good RSS app since not everyone likes to the same kinds of fonts. Feedly has taken this into consideration when choosing their fonts and it's obvious. 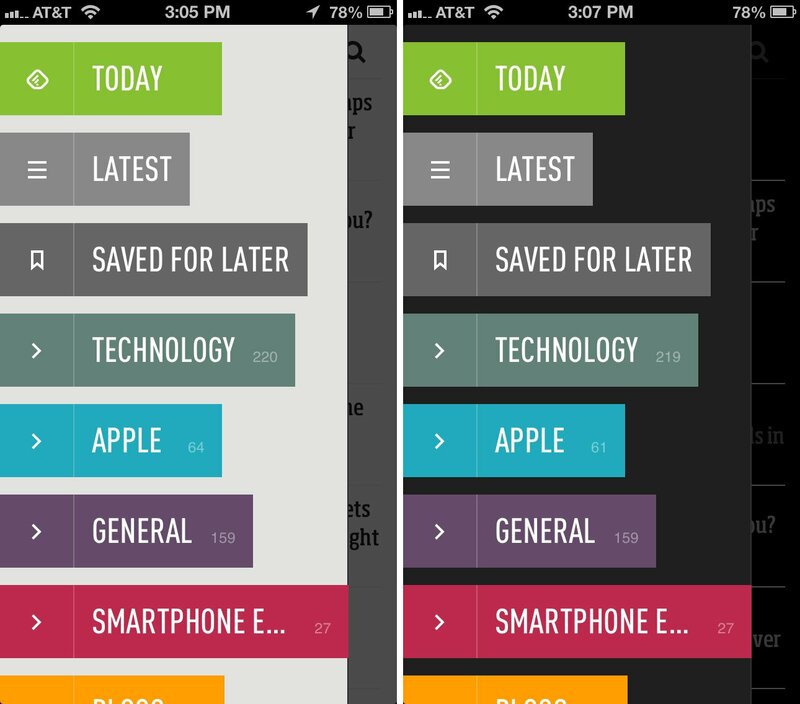 Whether you're looking to find something to replace Google Reader or just want a beautiful RSS app for iPhone or iPad, Feedly will cater to both purposes and is sure to impress. And considering it's free, you've really got nothing to lose.